Well, I had a little fun this last weekend. 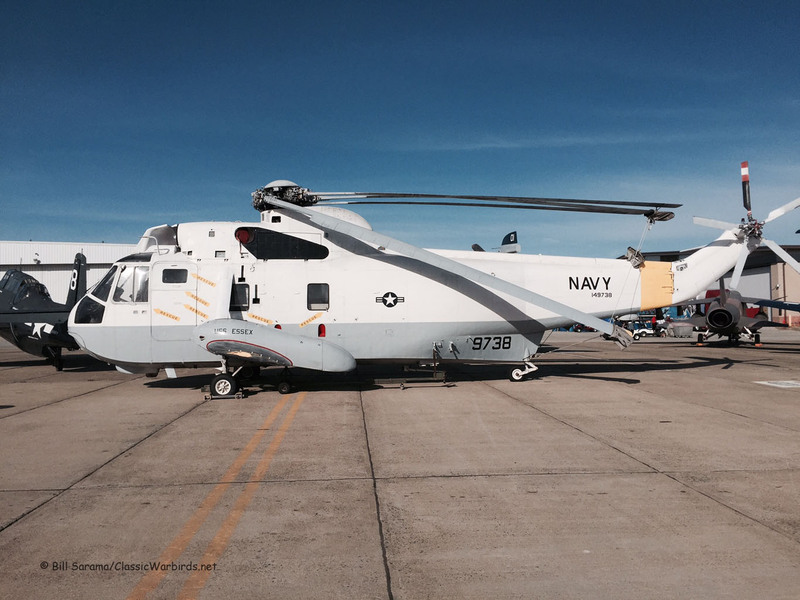 I went up to what is officially called the "Rhode Island National Guard Air Show 2016", held at the Quonset Point State Airport on beautiful Narragansett Bay. Located about 8 miles north of Newport, Rhode Island, it's the home of raspberry pants, raspberry drinks and raspberry salsa fish dinners - and a few fancy sailboats. But not at this air show. The scene here is strictly airplanes and cheeseburgers to go with red metal bottles of Bud, the main show sponsor. Until about 1973, this airport was Naval Air Station Quonset Point, one of the largest air stations on the east coast. It supported aircraft carrier operations and was, until its closing, home base to at least two Fast Attack Aircraft Carriers that docked at the long Carrier Pier. That structure still exists near the end of the main Runway 16/34. To the southwest, on the other side of Point Judith, was Auxiliary Landing Field Charlestown with its three runways that supported Carrier Qual Ops for NAS Quonset Point. Now it is a State Park, with some of the old runways still in place - a great place to do aviation archeology exploring. Back in the 1940's there was a student pilot who trained here who went on to become a President and have a nuclear aircraft carrier named after him - George H.W. Bush. 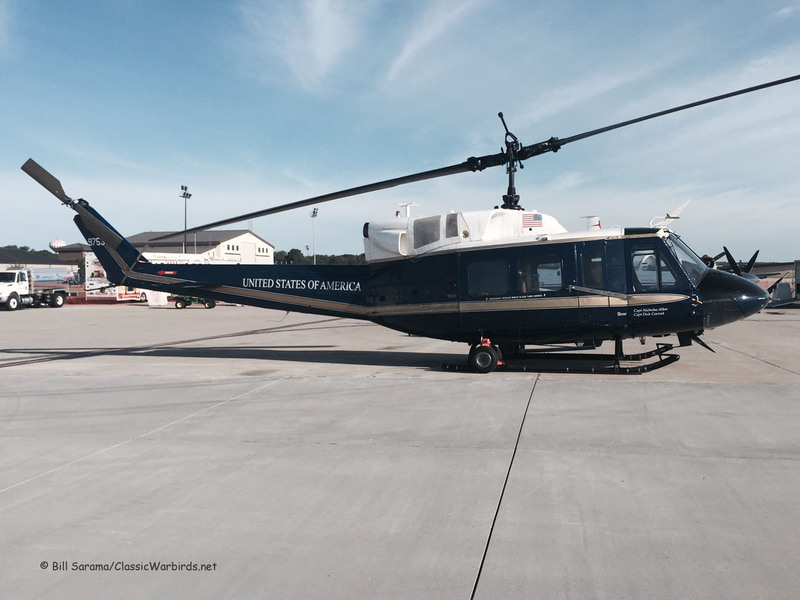 Now the state airport hosts mostly military operations; the 143rd Airlift Wing of the RI Air National Guard with their C-130J Super Hercs and the RI Army National Guard Aviation Support Facility for the 1st Battalion, 126th Aviation Regiment flying the UH-60 Blackhawks. If you want some details, Runway 16/34 is 7,504 x 150 ft and Runway 5/23 Is 4,000 X 75 ft. And another interesting local fact: The recently retired aircraft carrier John F. Kennedy (CVA-67) will soon be coming to the Coddington Naval Pier, just above the Naval War College in Newport. 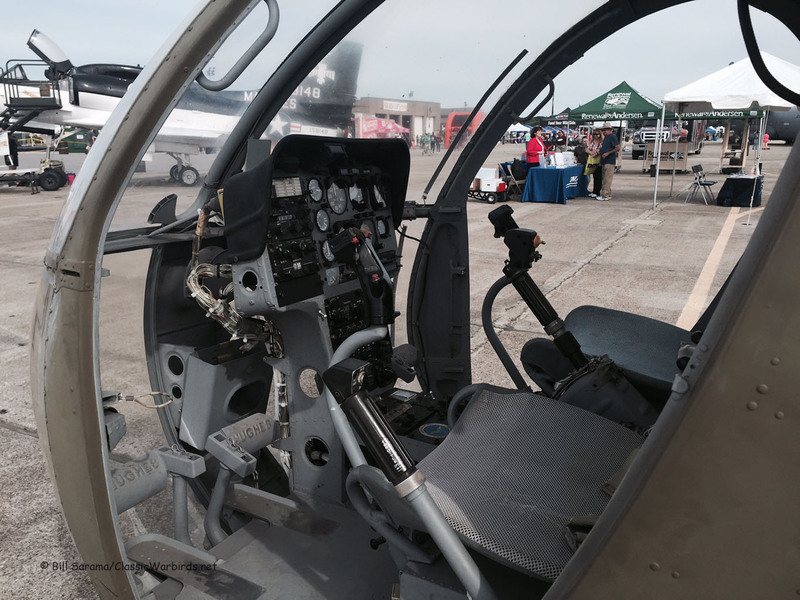 The JFK is to become a museum ship with a flight deck and hanger bay filled with historic navy aircraft. Just another thing to see when you come up to future air shows -- Stand By!!! OK -- Back to the air show. 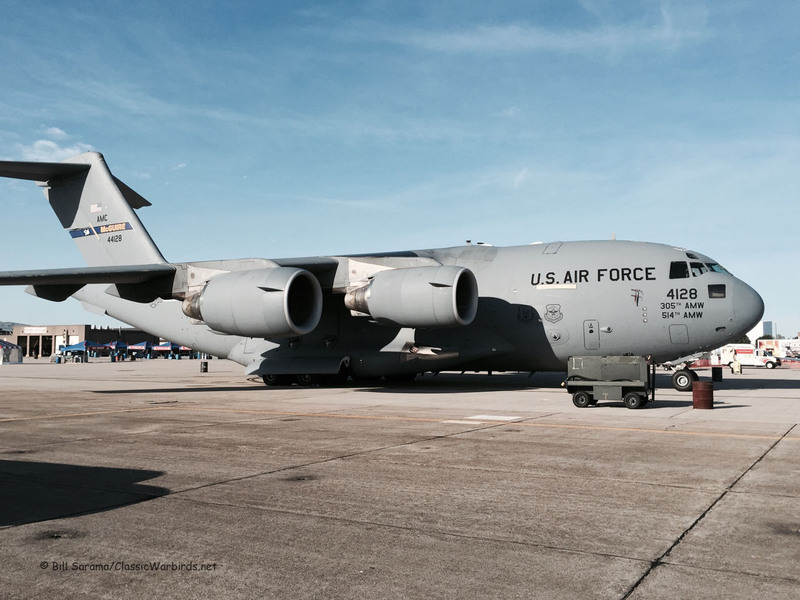 There were not that many visiting current military aircraft here on static display. 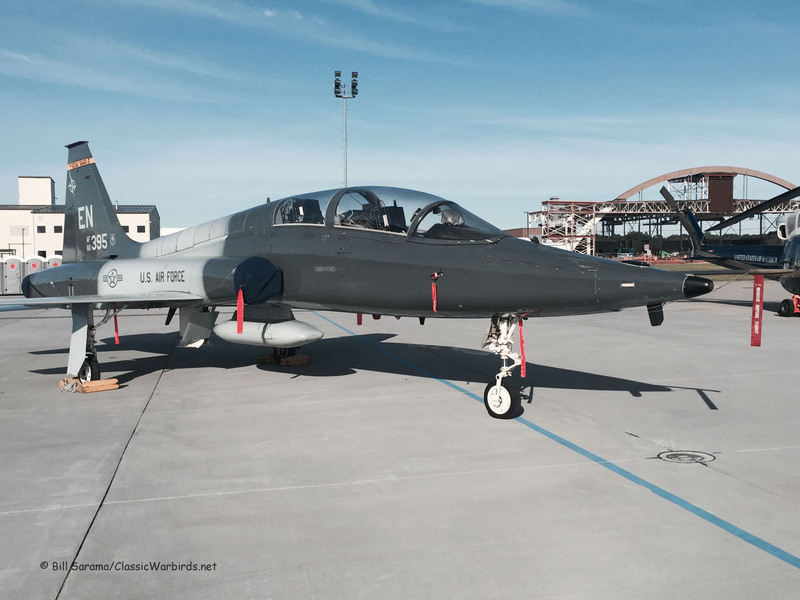 There were four -- a T-38A Talon and a T-6A Texan up from the 80th FTW at Sheppard AFB, a blue VIP UH-1N from the 316th Wing at Andrews AFB and a C-17A from the 305/514 AMW at JB McGuire. Quonset always has a way to fill up the ramp with airplanes even when there are few visitors, and they did a good job again this year. 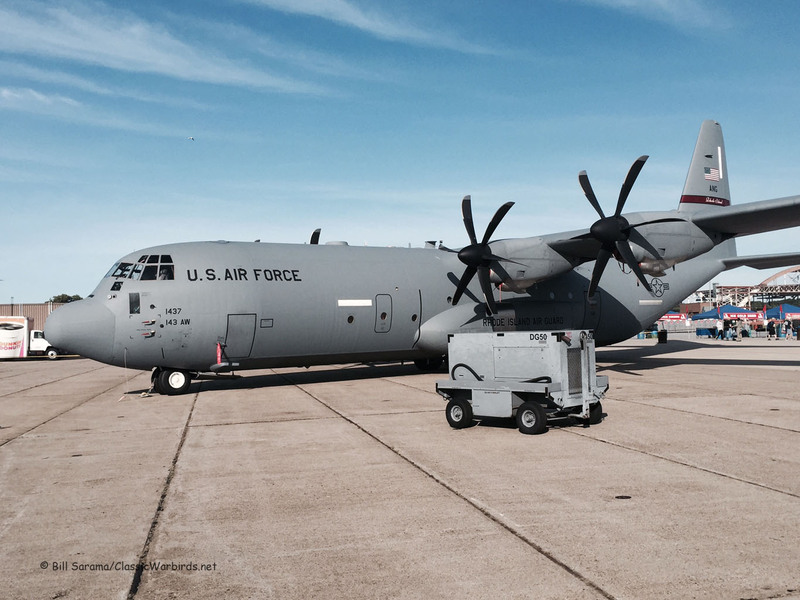 The home town team 143rd AW had a static C-130J on the show ramp, and the Rhode Island Army National Guard displayed two UH-60 Blackhawks from the RI ARNG 1/126th. 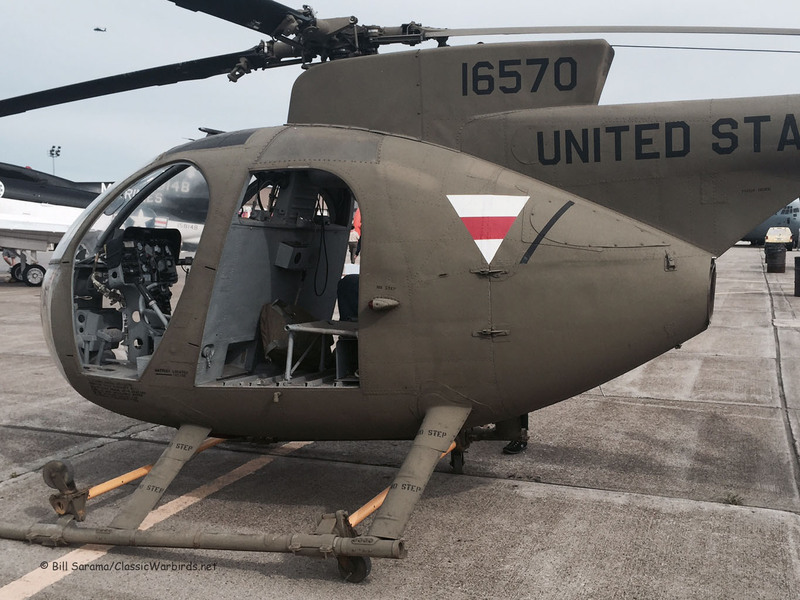 Single examples of vintage Hughes OH-6 Cayuse "Loach", Bell AH-1A Cobra, and a Bell UH-1H Huey looked almost ready to fly again, and another displayed Huey done up in VT-ARNG Southeast Asia colors was in the movie "The Purge". 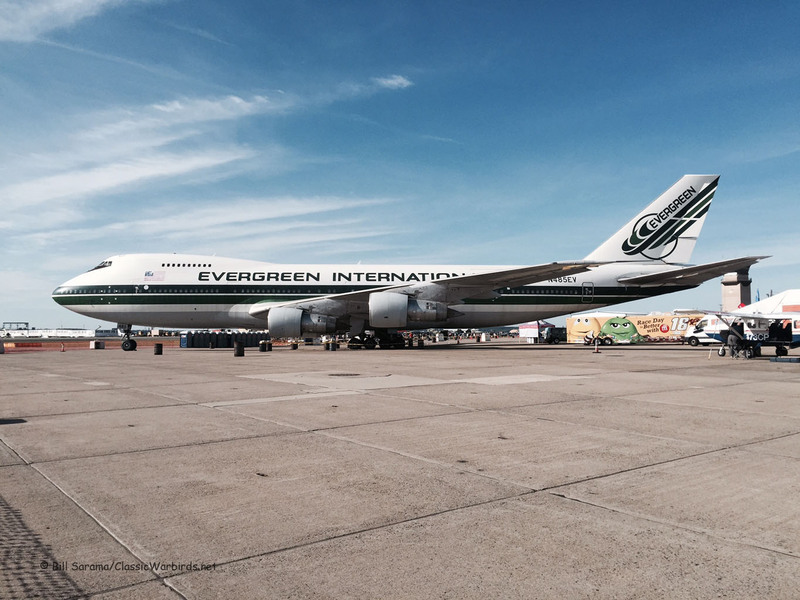 An Evergreen Airways Boeing B-747, which is rumored to become part of a new museum of Air Force One artifacts, and three flight school planes rounded out the static display. Seven planes were brought over from the Quonset Air Museum; my favorite museum plane continues to be the A-6E Intruder from VA-34 "Blue Blasters" still in its original low-viz grey scheme. The Quonset Air Museum has six more aircraft at their hanger; I wish they would hurry up and get that F-4 Phantom painted up - it looks in pretty good shape. Editor's note: just prior to the air show, the possible lack of state and private funding for a desired alternative site for the Museum, after it was evicted from its condemned hangar (structural failure of the WWII-era building) added uncertainty to the Museum's continued presence at the airport or next air show... In the air, the USAF Thunderbirds cancelled for the weekend because of their recent non-lethal crash of Thunderbird 6 - a big blow to the organizers, but understandable. That left the main attraction at Quonset to be the F/A-18C Hornet Demo Team of VFA-106 "Gladiators", up from NAS Oceana with two birds (AD 300 and 302). Three 143rd AW C-130s were on the Hot Ramp with one flying for the US Special Operations Command flag drop and jump team (call sign "RHODY32"). The hot ramp, besides the Hornets and Hercs, featured warbird representation in the form of an F-4U Corsair and an A1E Skyraider from the Collings Foundation, down from their stable of airplanes headquartered in Stowe Mass., the beautiful silver and yellow T-33 Shooting Star "Ace Maker" in Korean War combat colors, and Mark Murphy's P-51D Mustang "Never Miss". 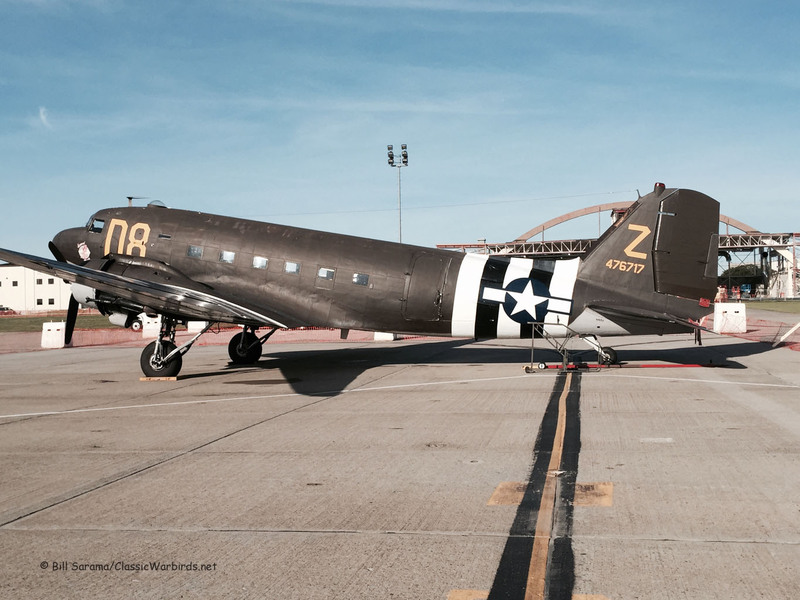 A Douglas C-47 "Skytrain" up from the American Air Power Museum in Long Island, flew for the Disabled American Veterans - DAV - veterans support organization. Civilian performers included the Jack Link - sponsored red Jet Waco bi-plane "Screamin' Sasquatch", Mark Murphy's restored CAP-10 aerobatic plane from the "French Connection" pair who used to fly in the Northeast in the 80s, and finally two Extra-300s and one MXS-RH stunt planes. 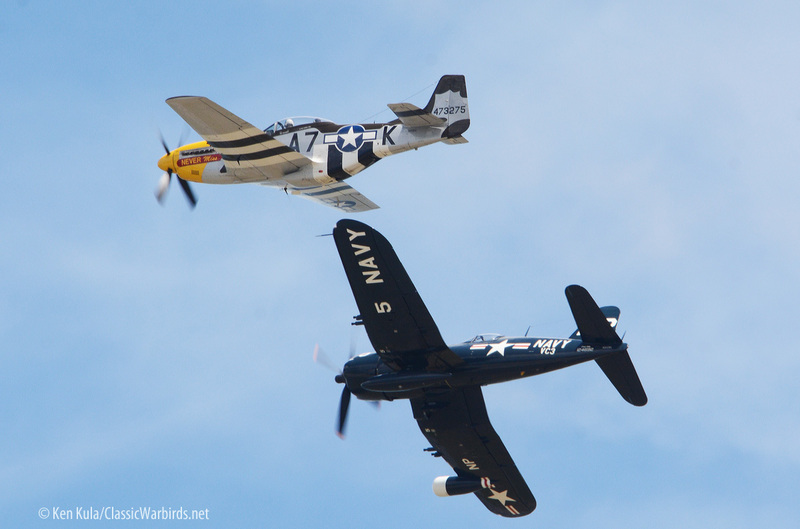 Later the three aerobatic planes and the P-51D Mustang combined to do a "Missing Man Formation" in honor of the recent air show deaths of Bill Gordon in the Hudson River during Fleet Week in May, and Blue Angels Number 6 Solo Pilot Marine Capt. Jeff Kuss crashing during a recent practice show in Tennessee. 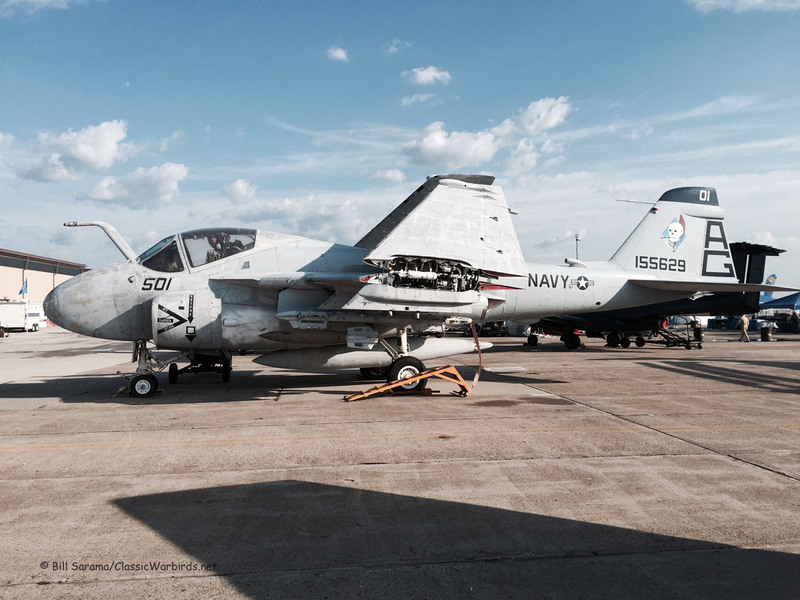 What's good about going to the Quonset Air Show is that it is right near Newport, with all of its great restaurants and wharfs and sights to see around Narragansett Bay. I had some great dinners at the "Red Parrot", a wonderful "Lemon Blueberry Tart" Mason Jar Cocktail at the Smokehouse Cafe right on the Harbor, saw some great sunsets at Bannister's Wharf, had a nice Hot Fudge Sundae at Ben & Jerry's, did the 12-Mile Newport Mansions Drive (without the 3 mile Cliff Walk! ), stayed at a great AirBnB, and navigated a great departure flight plan south along Scenic Route 1-A through Narragansett Village, Point Judith, Galilee, Jerusalem (really! ), the old runways at NAS Charlestown ("Charlietown"), and finally driving along the cliffs of Watch Hill before hitting the boring I-95 drive south with its crazy traffic. Yes, it was a fun weekend!! !